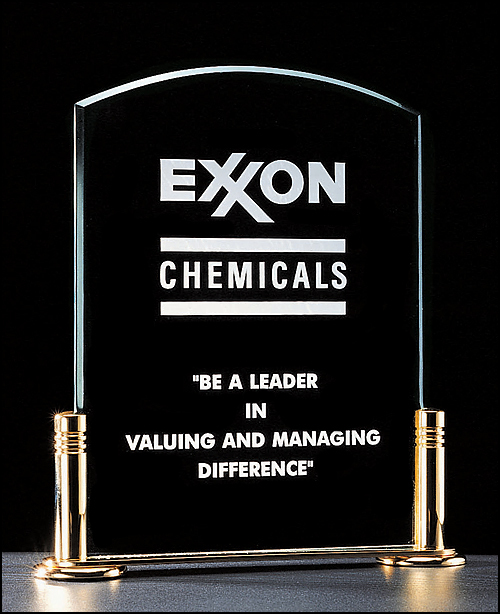 Ordering more than six acrylic awards? 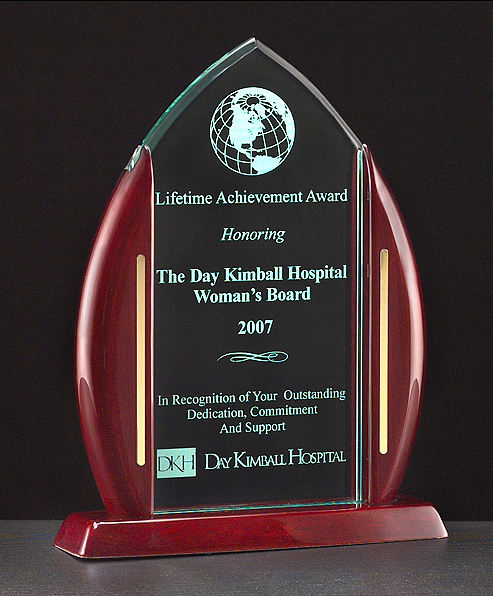 Ask us about our quantity discounts. 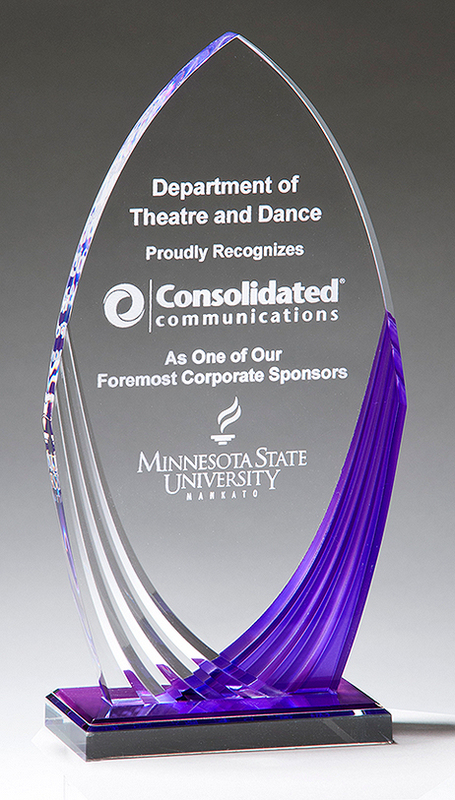 Tidal series acrylic with printed violet accent and violet mirror-topped base. 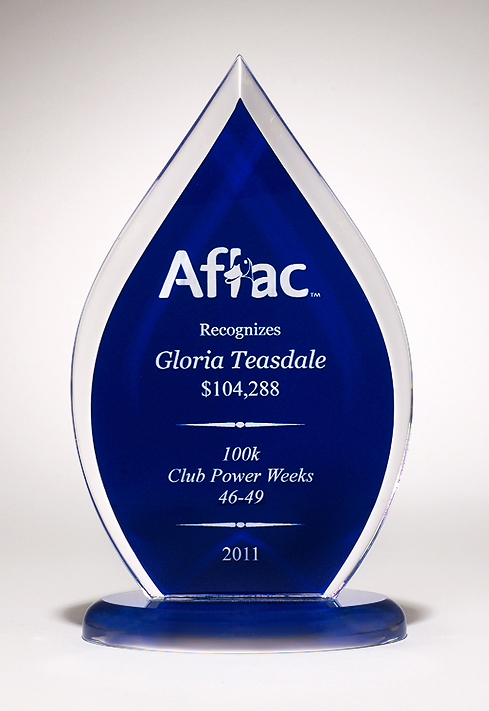 Flame series clear acrylic with blue accents and matching blue acrylic base. 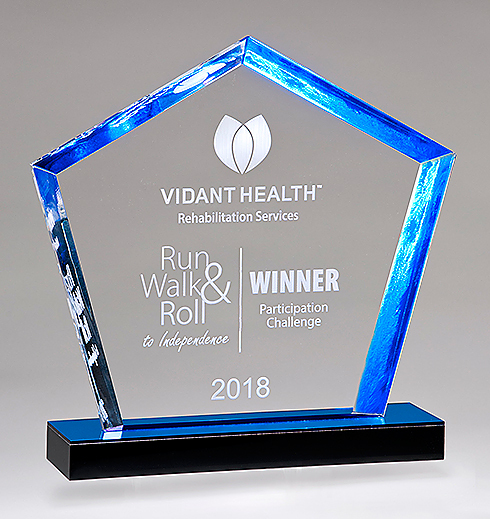 Peak series clear acrylic with printed blue background and silver mirror-topped base. 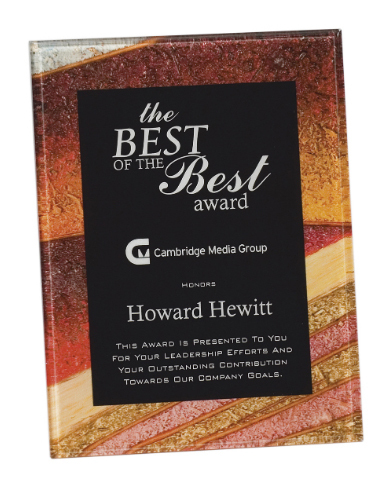 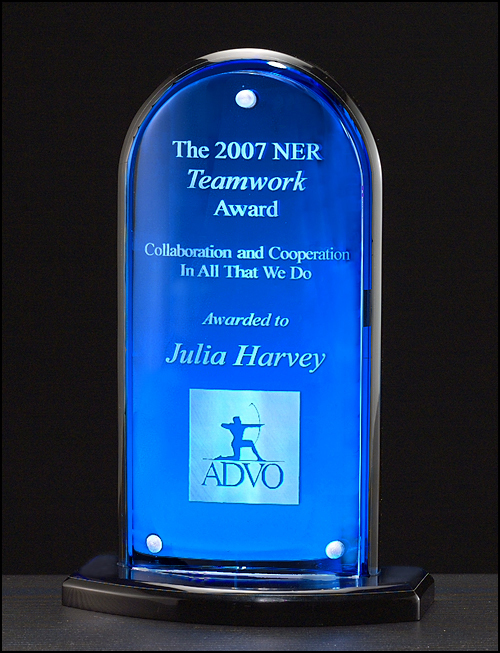 Size - 5" x 8 1/4"
Overall size - 5" x 7 1/2"
Overall size - 6" x 8 1/2"
Flame series clear 1" thick acrylic award with blue accented bevels. 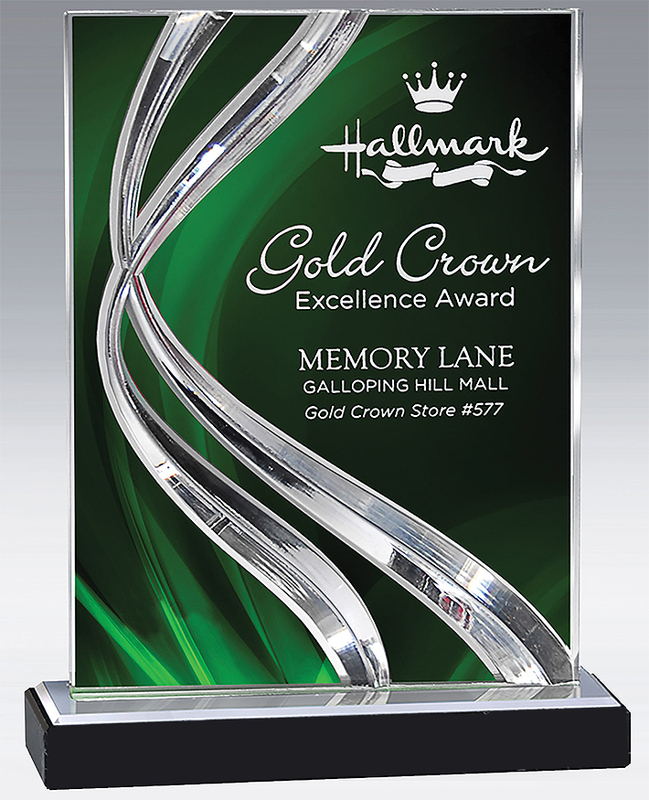 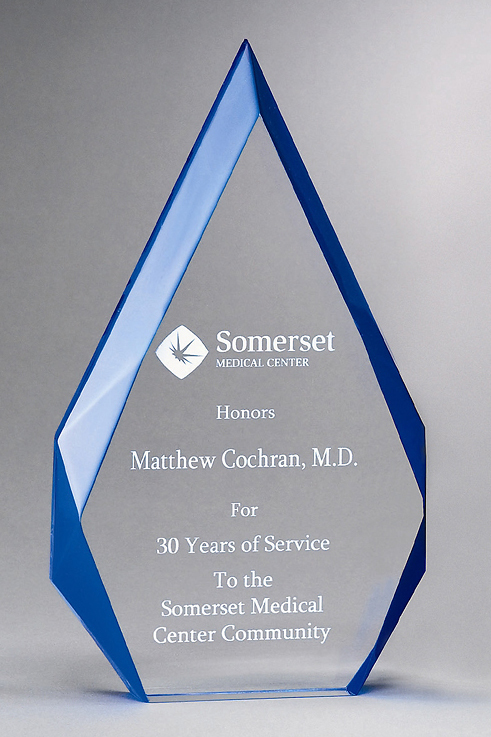 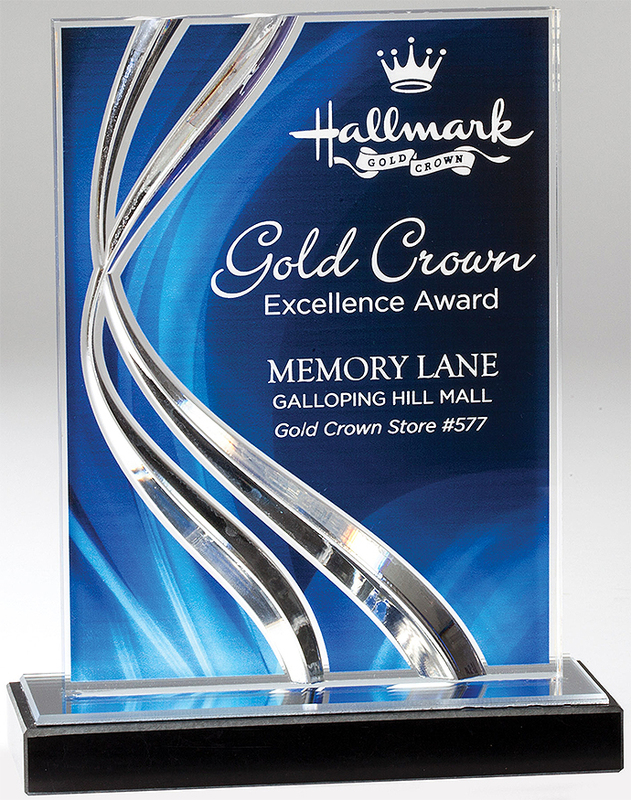 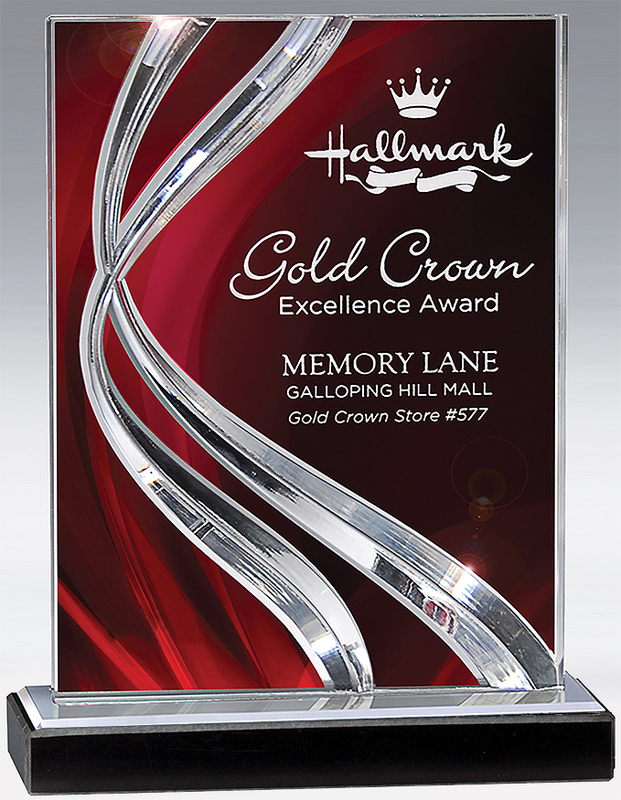 Size - 4 1/4" x 7 7/8"
Flame series clear 3/4" thick acrylic award with blue silk screened back. 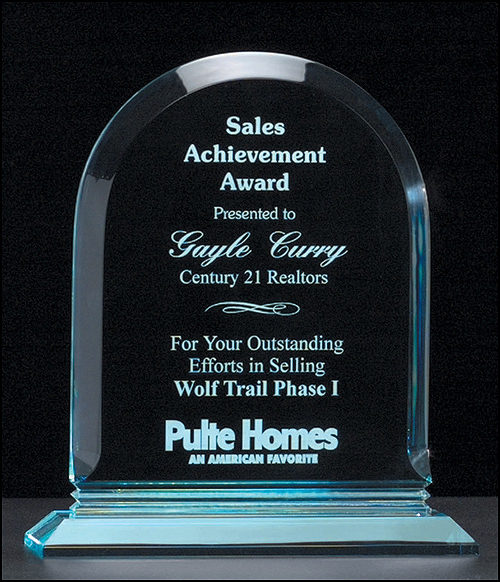 Size - 4 1/2" x 7 3/4"
3/4" Thick jade waterfall acrylic award. 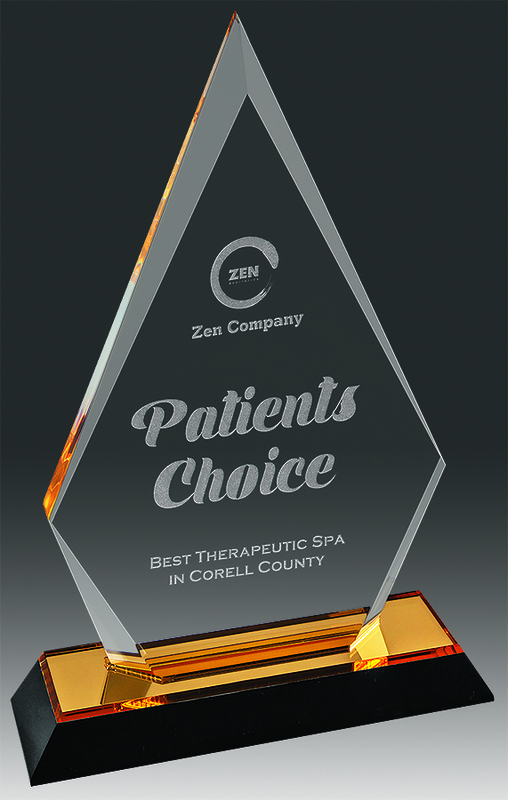 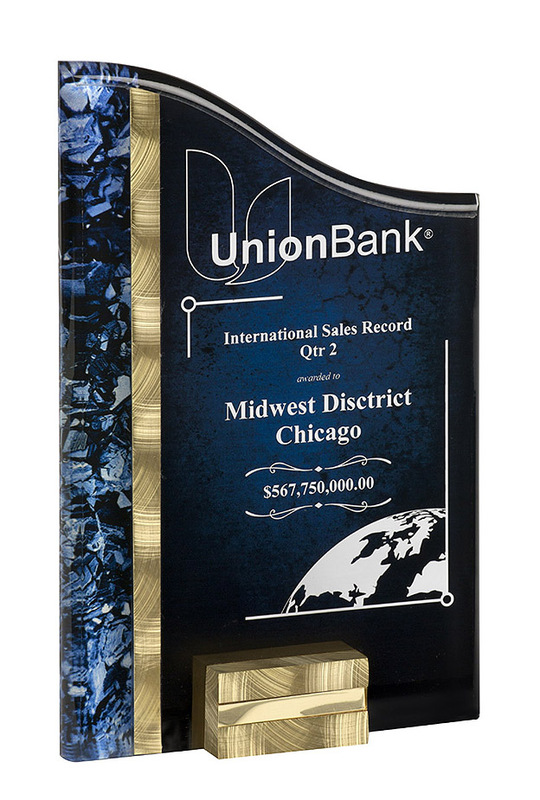 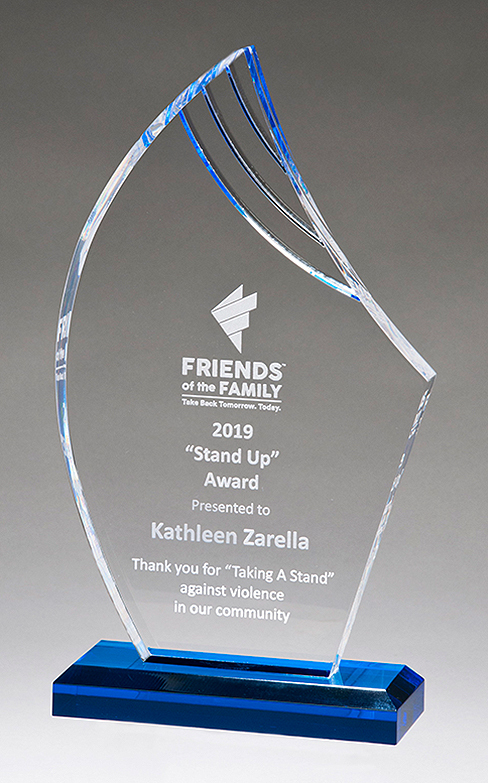 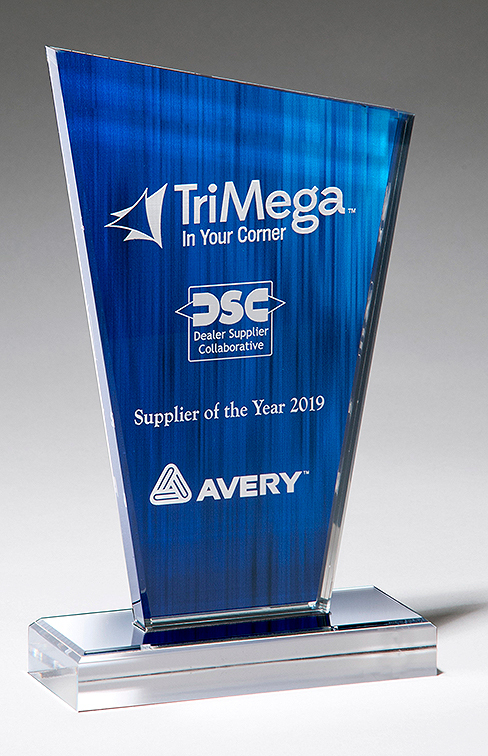 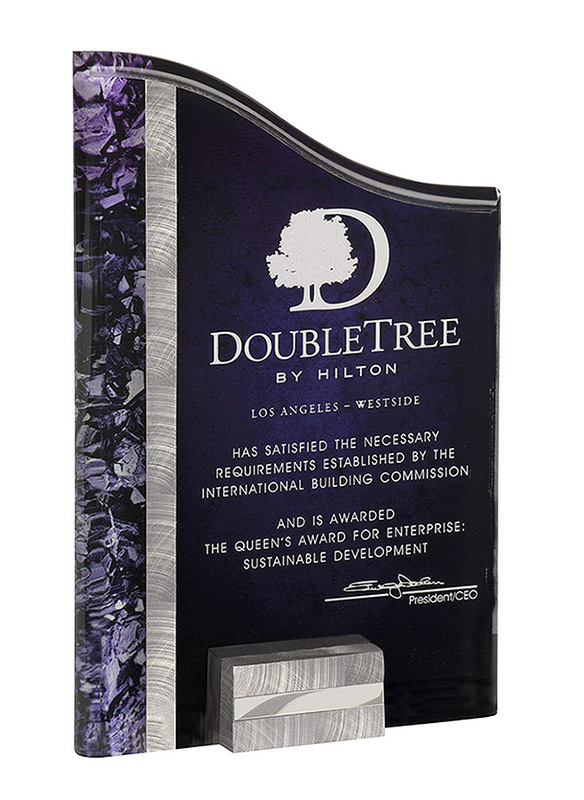 Size - 6 1/2" x 8 3/4"
Size - 7 1/2" x 9 3/4"
Arch Series acrylic award featuring blue mirror upright and base with clear convex acrylic front. 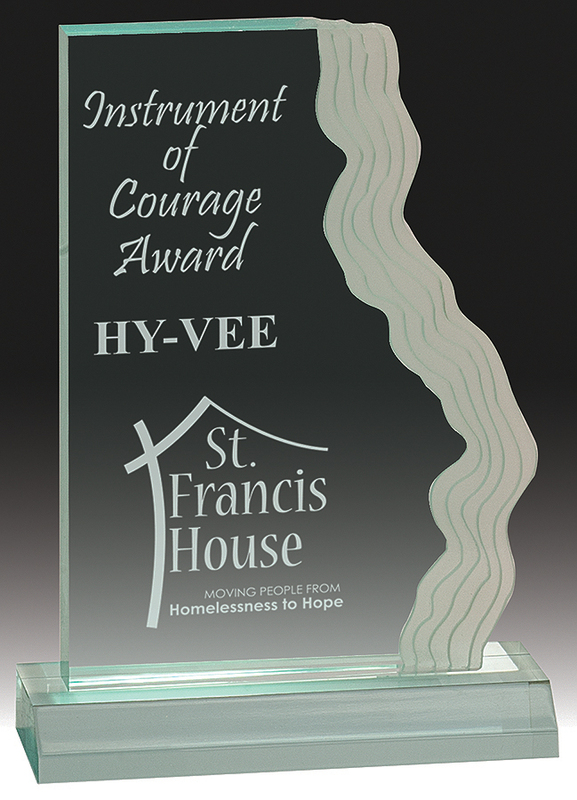 Overall size - 5" x 8"
Cathedral acyrlic award with rosewood piano finish base & gold metal inlay. 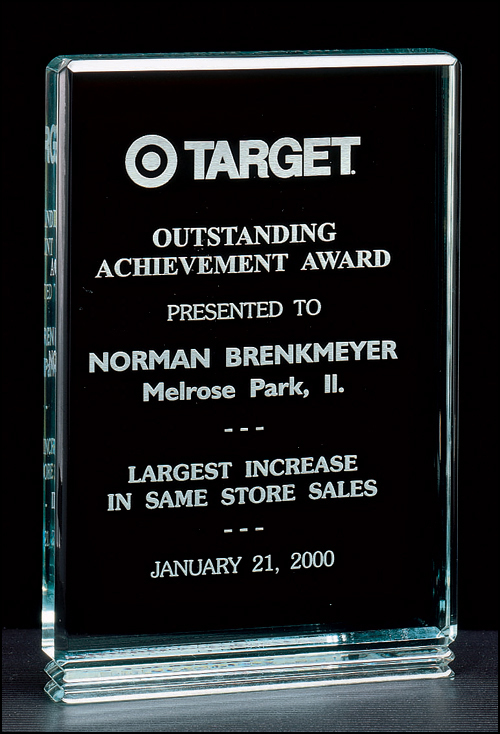 Overall size - 6 1/2" x 7 3/4"
Overall size - 7 1/2" x 8 3/4"
Overall size - 8 1/2" x 9 3/4"
Size - 6" x 7"